Valentine’s Day will be here in a flash! Can you believe it? 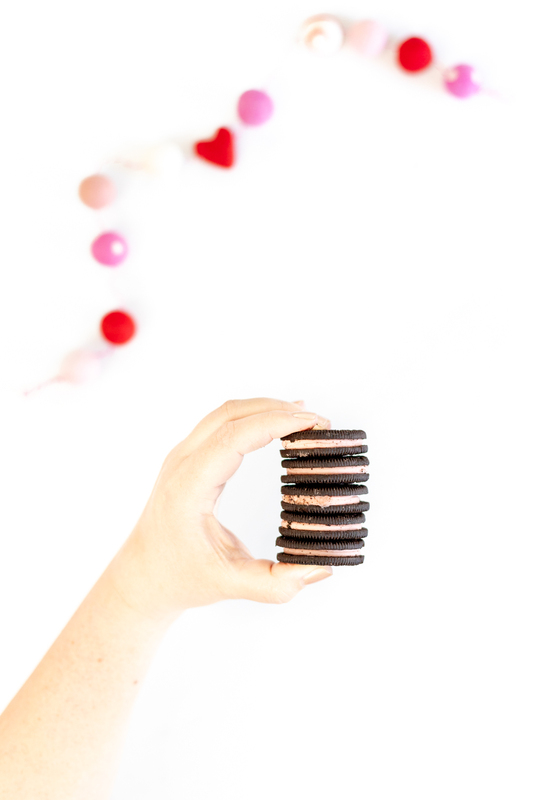 If you’re looking to spread as much love as possible this Valentine’s Day, OREO Cookie totally has our back. 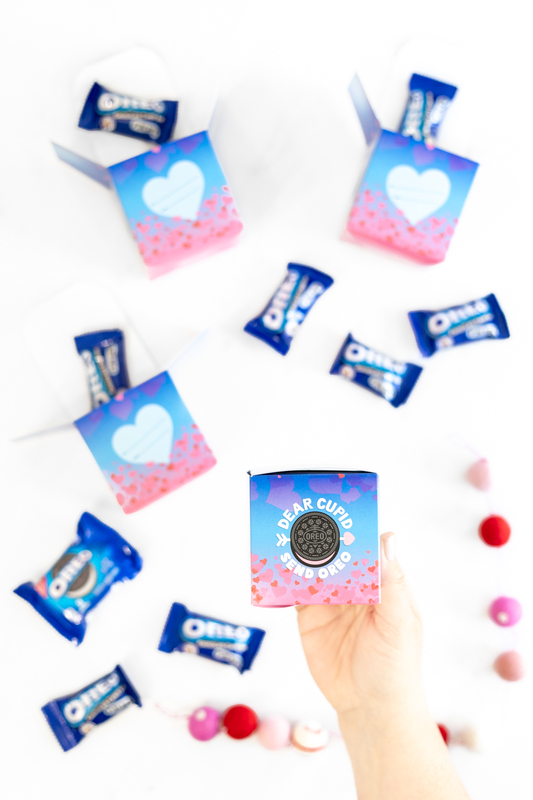 They have an epic OREO Valentine’s Day Exchange Kit available right on Amazon that will help you totally impress pretty much everyone on this love-inspired holiday. I feel like it was just yesterday that we were tossing confetti around the house to ring in the new year. 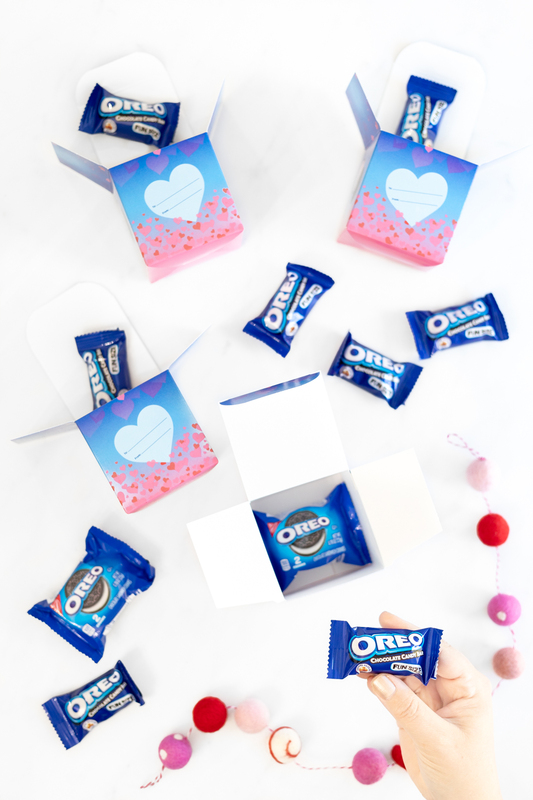 If time is flying for you, too, no need to stress, let me show you how to celebrate this Valentine’s Day with OREO! For a sweet low price, you can score an amazing box of goodies in time for V-day. 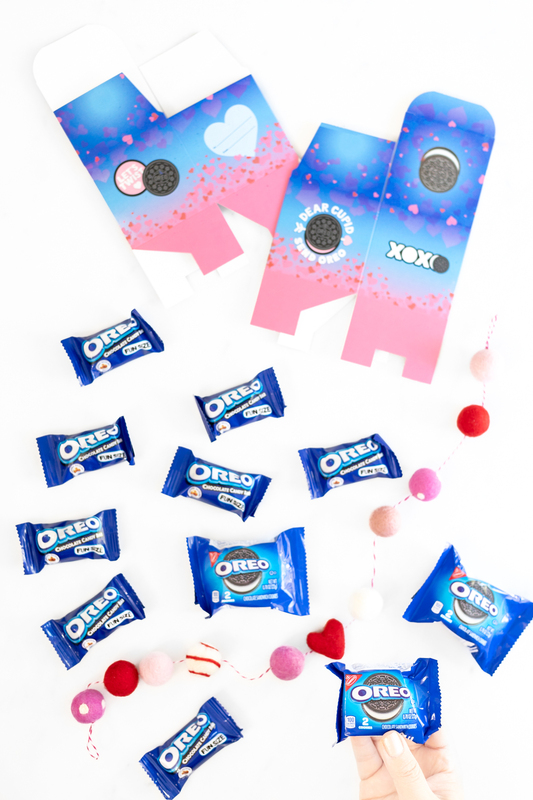 Build the perfect Valentine’s Day exchange box with your family and friends with the OREO Valentine’s Day Kit. BONUS – there’s a unique flavor in the kit. 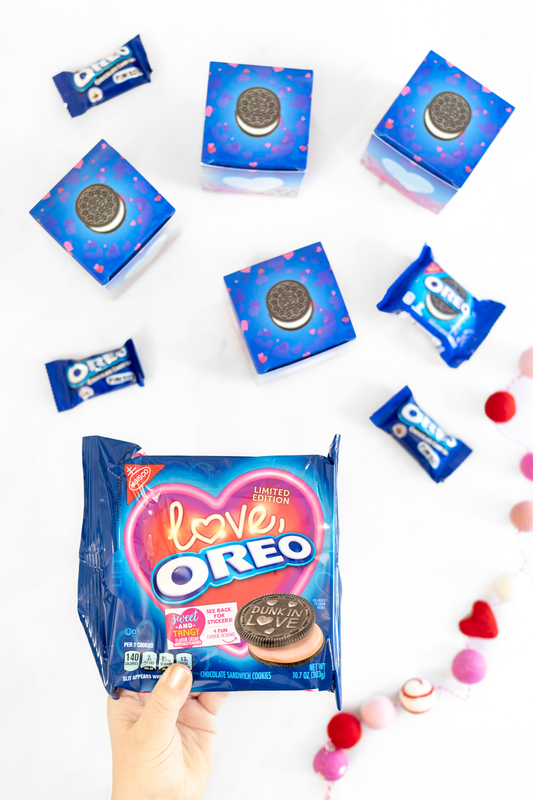 Love, OREO Limited Edition Cookies with a sweet-tart flavored cookie and pink crème inside especially for the day of sweetness! 25 adorable boxes to exchange and fill with goodies complete with a place to personalize them. 25 Individually wrapped OREO Cookie Packs. Each pack contains two OREO original cookies. 25 Milka OREO Chocolate Treat size bars. Completely scrumptious OREO chocolate candy with vanilla crème and OREO biscuit. Extra fun for sharing, if I don’t say so myself. These little treats are SO yum. Have you tried Milka OREO yet? 1 package of OREO Love Cookies that I mentioned above. Spoiler alert, there is SO much to love about these cookies. 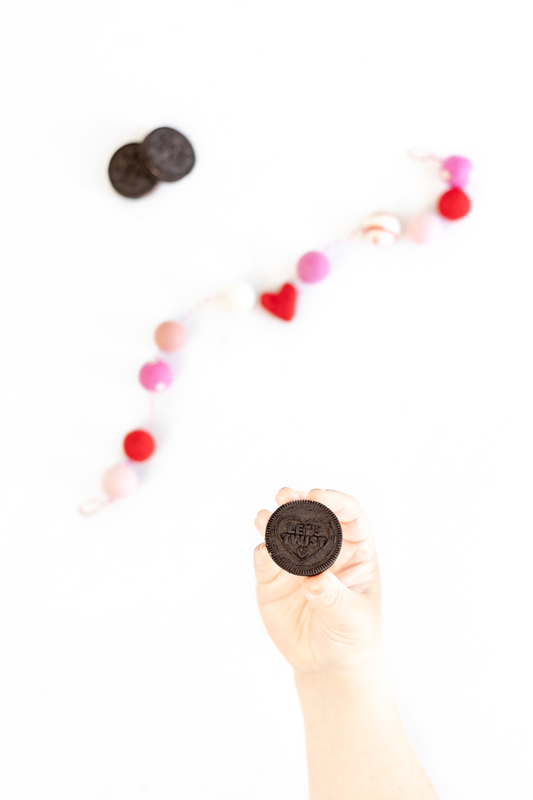 Not only do they have a unique special flavor that’s swoon-worthy, but the playful cookies also have special messages just for Valentine’s Day! Instant love. Peel & play stickers to personalize your boxes for your friends and family. Do you have 25 people in mind to share these yummy boxes with? I am thinking after my family and besties, I will surprise some of my neighbors, bring a few to my hair appointment later this week, and then drop even more off with my mom to share on her weekly Trivia Night. I seriously can’t wait to spread the OREO love! What about you? 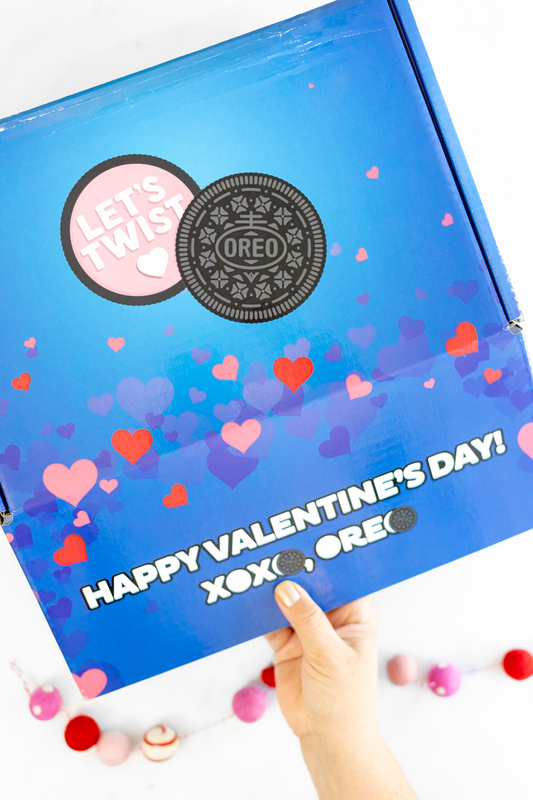 Buy an OREO Valentine’s Day Kit or two today and get ready to spread extra love and joy to everyone.